Obituary for Richard "Red" D. Webber | Kostanski Funeral Home, Inc.
Montague- Richard “Red” D. Webber, 91, of Federal Street died on his birthday, Thursday 8/23/18 at the Buckley Health Care Center in Greenfield. 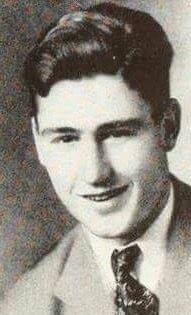 He was born in Gill on August 23, 1927, the son of Donald and Catherine (Pervere) Webber. Red grew up in the Riverside section of Gill, on the Connecticut river. He attended local schools in Gill and Montague and was a graduate of Turners Falls High School Class of 1945. During his High School years he was a star athlete in football, baseball, track and basketball. Red served in the United States Navy from 1945 to 1948, on the USS Butte, involved in the atomic bomb testing at Bikini Island, Pacific Ocean. He was a long time employee for the University of Massachusetts. He enjoyed 28 years of retirement with his wife and family. Red was a sweet, humble, quiet man who enjoyed a simple life. He was never shy about telling his wife, daughters and grandchildren how much he loved them with his big hugs. Red loved the outdoors with fishing, hunting, hiking and boating on the Connecticut river. As a young man he helped his father build a family cottage on “Webber” Island. His favorite vacation destination was North Hero Vermont on Lake Champlain. 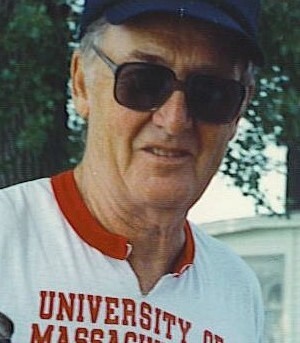 Besides his beloved wife of sixty seven years, Pearl (Gamache) Webber, Red leaves two daughters, Kathryn Webber (Mark) and Debra Little (John), all of Turners Falls; six grandchildren, Jodi, Kim, Scott, Malisa, Tim and Todd; seventeen great grandchildren; one great-great grandchild; and several nieces and nephews. Besides his parents, Red was predeceased by two sisters, Faye Davey and Joan Webber and an infant son, Donnie Webber. Funeral services will be held Wednesday 8/29 at 11am at the Kostanski Funeral Home, 1 Kostanski Square, Turners Falls. Burial will follow at Riverside Cemetery in Gill. A calling hour will be held Wednesday morning from 10am until the time of the service at the funeral home. Memorial contributions may be made to the Franklin County Sherriff’s Office Regional Dog Shelter, 10 Sandy Lane, Turners Falls, MA 01376.